Did you know that this coming Tuesday, March 20th is International Francophonie Day? 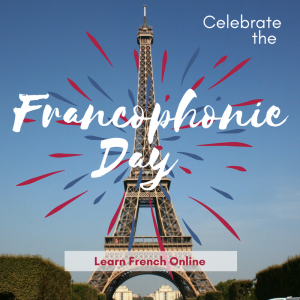 It’s a day to celebrate the French language and Francophone culture throughout the world. In honor of this day, Frantastique, an online language-learning platform, is offering readers of Paris Weekender a 7-day free trial, and the chance to win a 6-month membership to the site! ENTER HERE for the free trial and a chance to win. You must sign up between May 20th and May 26th! Personalized French lessons online! Your daily lesson is sent by e-mail every morning. Story-based lessons featuring fun characters in a French-speaking context with plenty of culture and business elements.. The lessons are humorous, practical and include a wide variety of accents. 10 to 15 minutes daily is all it takes! Here is a video that explains more. If you sign up, please let me know how it goes!